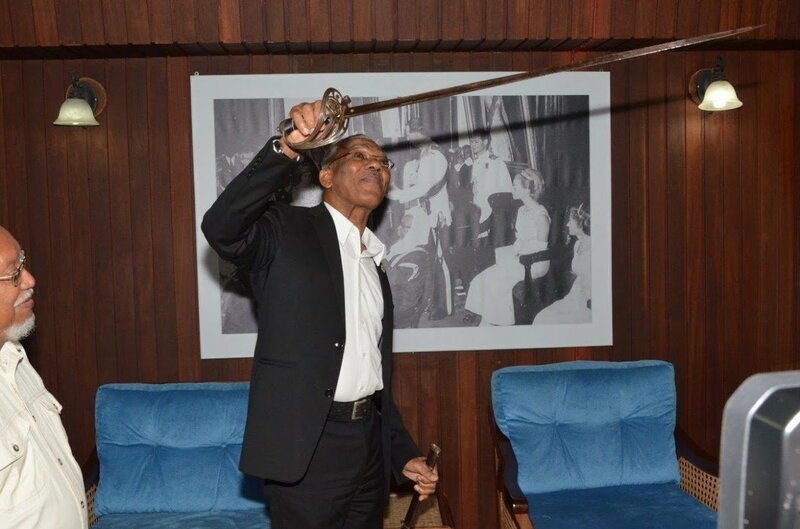 President David Granger, today, received a sword that once belonged to the late Rupert Berchmans Craig, one of the country’s earliest engineers in whose honour the ‘Rupert Craig Highway’ was named, a statement from the Ministry of the Presidency said. The sword was used by Craig in the First World War, during which he served as an officer in the West India Regiment. It was made in 1827. The statement said that the sword was handed over to the President by journalist and Editor-in-Chief at Capitol News, Enrico Woolford, into whose family Craig married many years ago. He was accompanied by his brother, Paul Woolford and Chairman of the National Trust of Guyana, Lennox Hernandez. 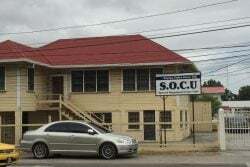 The statement said that Woolford noted that the Craig Estate wanted to hand over this artefact to the State in this Jubilee year so that it can be placed in a safe repository in Guyana. “We are very happy to have received this and I can assure you and the other members of the family that it will find a safe place in the National Military Museum, which was commissioned in 1985 and I am sure that generations of soldiers would like to know that this weapon was used by a distinguished Guyanese and they would take, from seeing it in the museum, the idea of continuity of defence,” the Head of State said. Rupert Craig died on September 5, 1976.